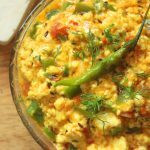 Keto Paneer Bhurji - Headbanger's Kitchen - Keto All The Way! As part of my vegetarian keto series I’m putting up brand new vegetarian recipes all this month. So here is the first one, a delicious cheesy Keto paneer bhurji. Paneer is an Indian cottage cheese. It’s absolutely DELICIOUS. This preparation just hits the spot, it’s got tang, it’s got spice and most of all it’s got loads of flavour. Where can you find Paneer? If you live in India, you already have this figured out. If you live elsewhere in the world you can definitely try you local Indian grocery store. And if you can’t find it anywhere then the best way is to make it at home using my recipe. 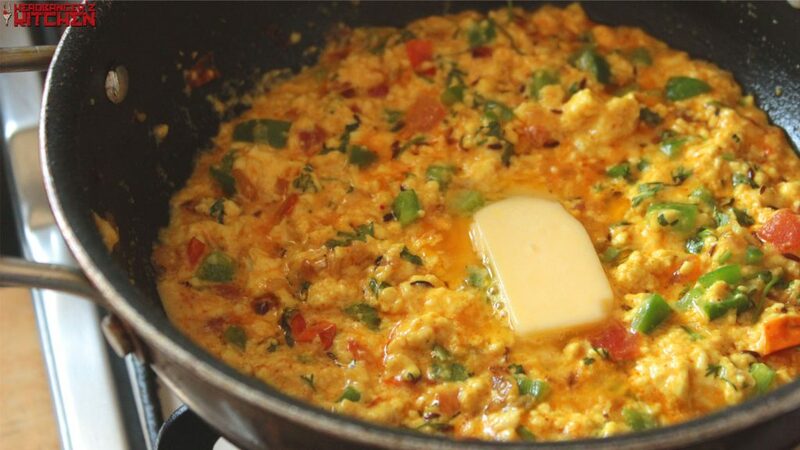 Paneer Bhurji made keto friendly with lots of cheese and ghee. Grate the paneer or crumble it. Add the ginger, garlic and green chilly and fry. Add the green peppers and paneer and season with salt. Thank you, we have over 150+ Keto recipes on the website. You are the MAN! WOW! I had a feeling I was going to fall in love with this, and I was right. I’m just delighted to make such wonderful, authentic Indian dishes at home out here in small-town middle America, miles and miles from the nearest Indian restaurant. I served this for lunch with cauliflower rice and keto garlic naan. It’s simply one of the most delicious dishes I’ve ever made–and served to guests–and I’ve been cooking for decades! You really have mastered a broad repertoire of international cuisines and adapted them brilliantly for the keto diet. It’s easy for me to stay on it with recipes like this one. In fact, all the recipes I’ve tried from your site have been excellent. Your instructional videos are just great, too. Keep up the jibber-jabber! Hi.Thanks for all keto recipe (Indian). If you can give more Indian style recipe, it would be the great help. There are nearly 100 Indian recipes on this website. Please look around. I have tried Keto Butter chicken.It was Fab.can I make it with Paneer or any other veggies for my veg keto friend?..can you tell me something related soya paneer.its one of the best protein source.Ohhhh it was too much jibber jabber. Yes you can absolutely make it with paneer or other veggies. You can consume soya it’s got some protein but not that much, paneer has the best amount from the vegetarian foods. I tried mking one for myself and it was really good. but i find add it on mfp little different. Really it is 463 cal per serving?